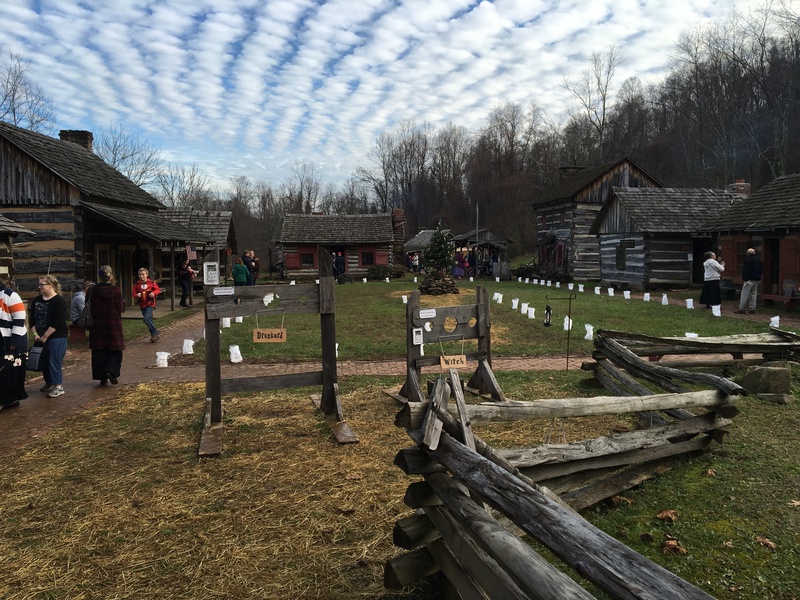 If you hurry, you still have time (a rare opportunity) to see what Christmas was like in the mountains of North Central West(ern) Virginia... during another time. 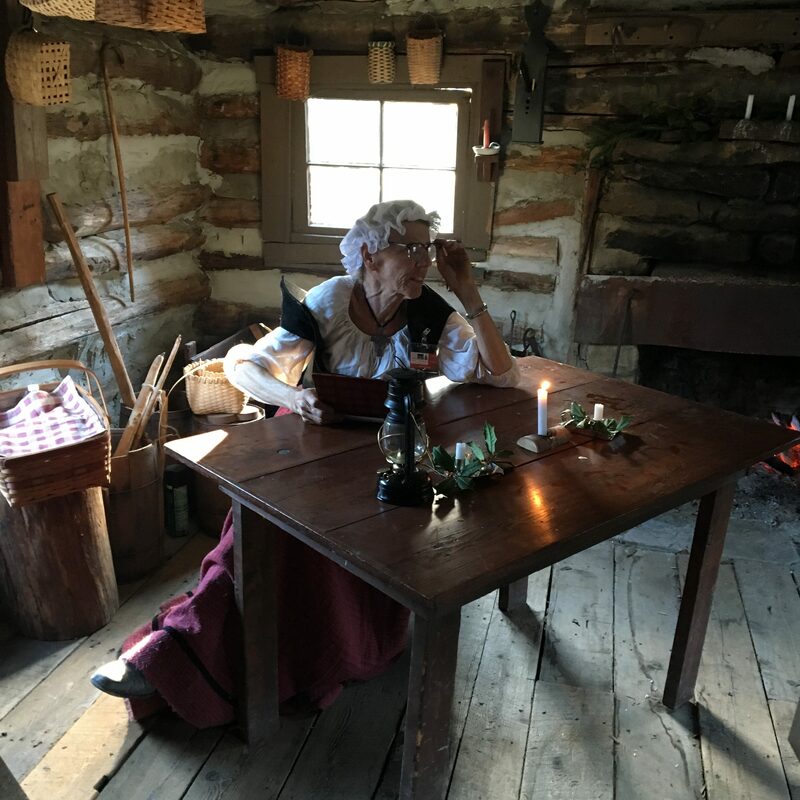 Fort New Salem, in Salem West Virginia is a 19th century representative frontier log house settlement located only a few miles from my home of Clarksburg. 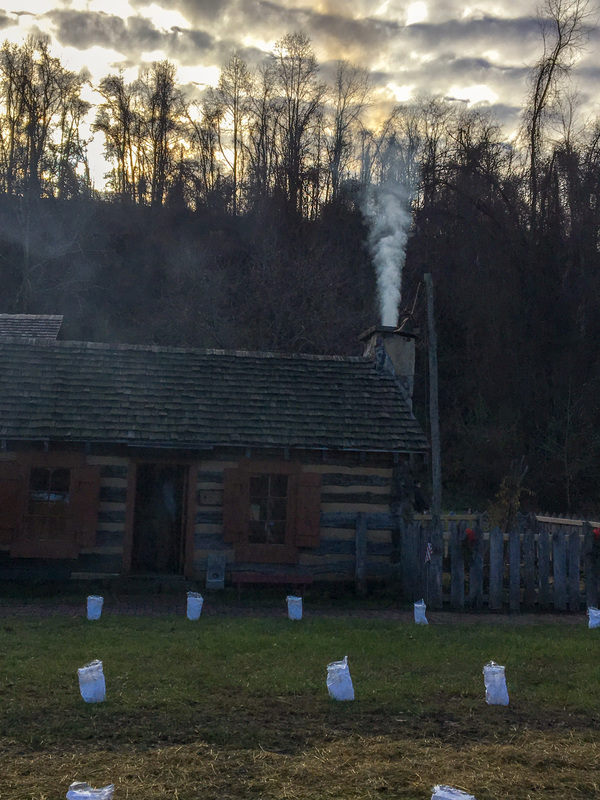 The village contains 18 relocated and reconstructed log structures under the ownership of the Fort New Salem Foundation. 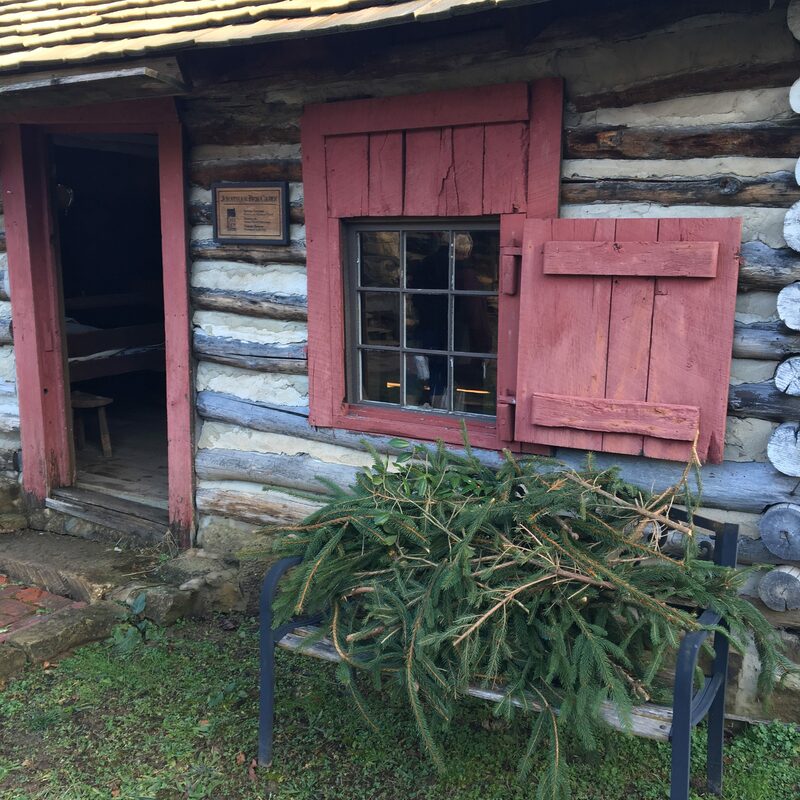 Visiting this settlement, which is a living history outdoor museum, brings ‘Christmas in the Mountains’ alive as it was in the 19th century. 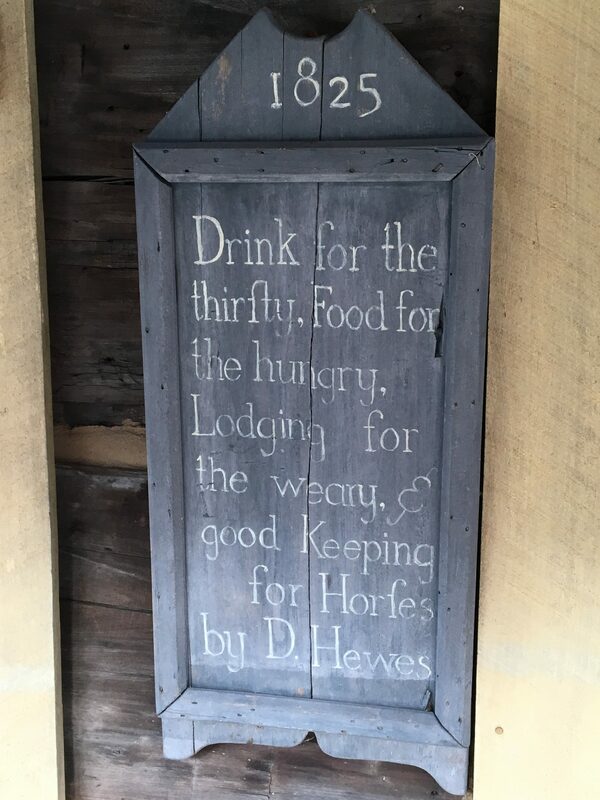 I visited the fort last weekend and took these pictures. 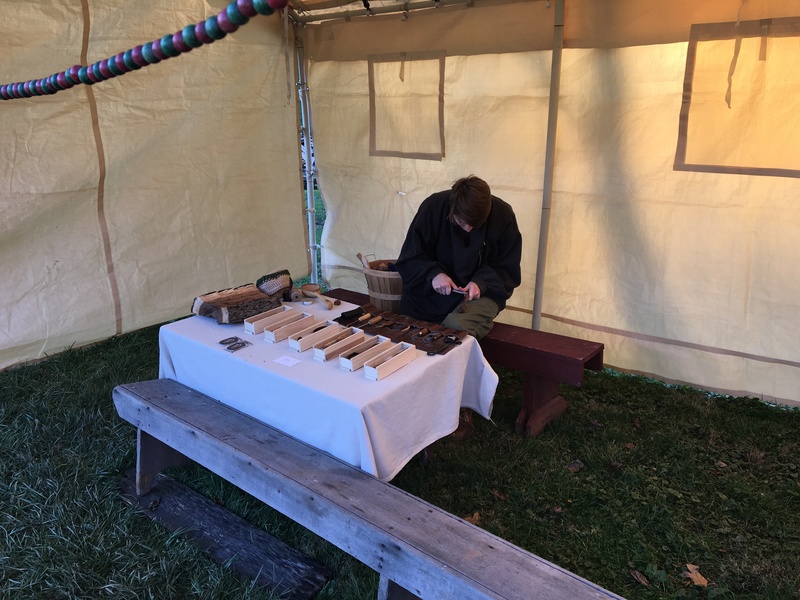 The activities continue this weekend, December 1 and 2 from 2-6pm. A wonderful family event. Browse, listen to the music, enjoy refreshments, purchase a couple gifts, and just enjoy another time. At night the luminaries are spectacular. The tree lighting, just after dark, is a must-see. Every small village had a tinsmith. 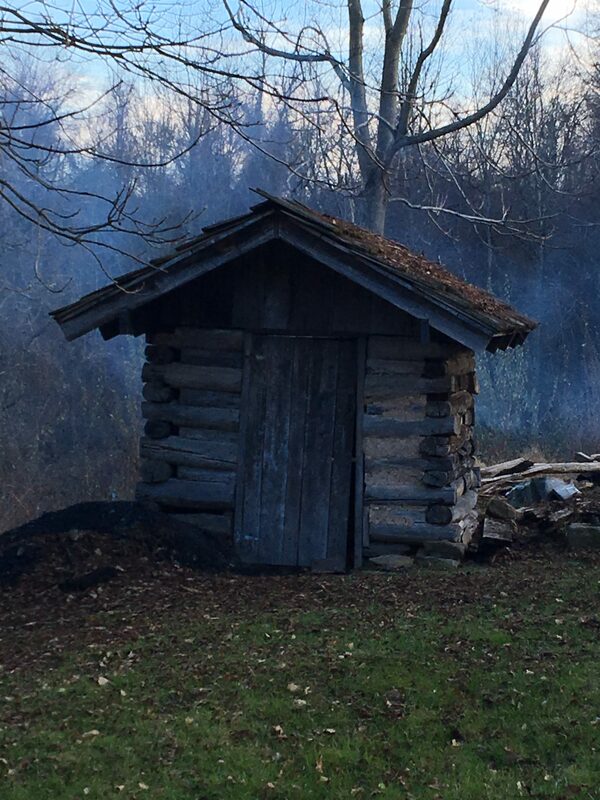 This could have been a smoke house or a storage shed. 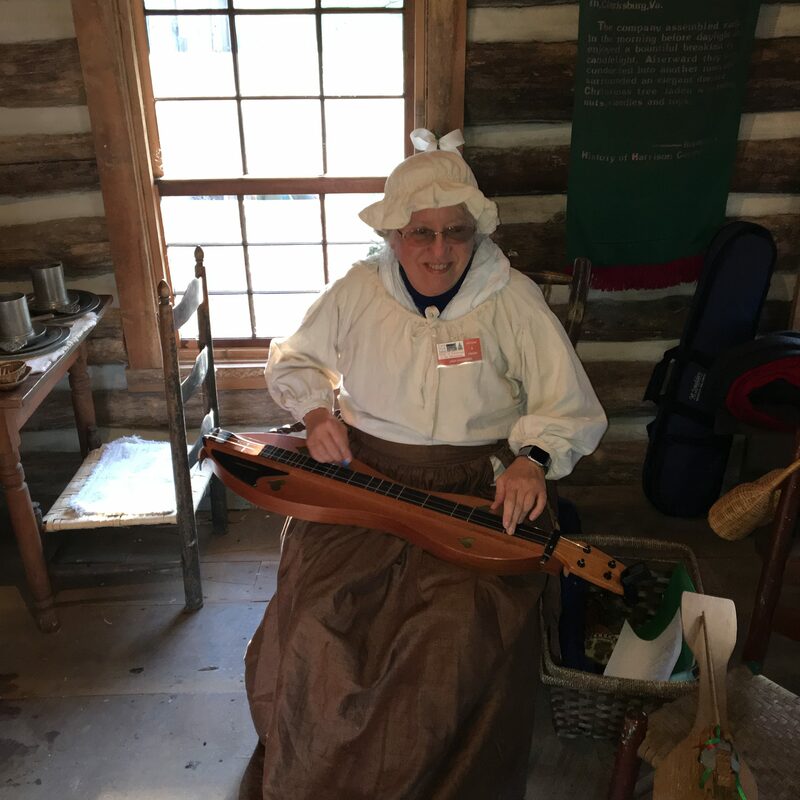 In one of the cabins, I listened to dulcimer music. Next door was a story teller. 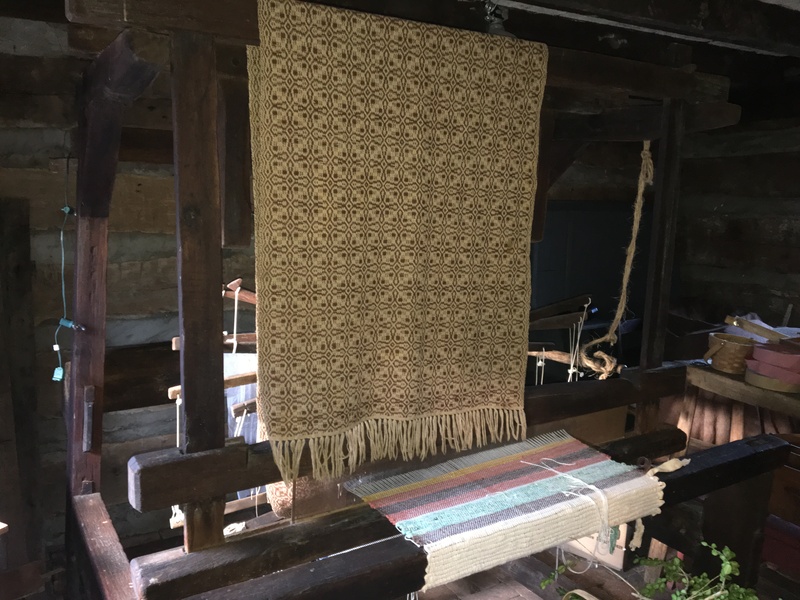 On the other side of the green was a weaver working with her yarn. As I continued my journey, I came upon a wood carver carving wooden spoons. 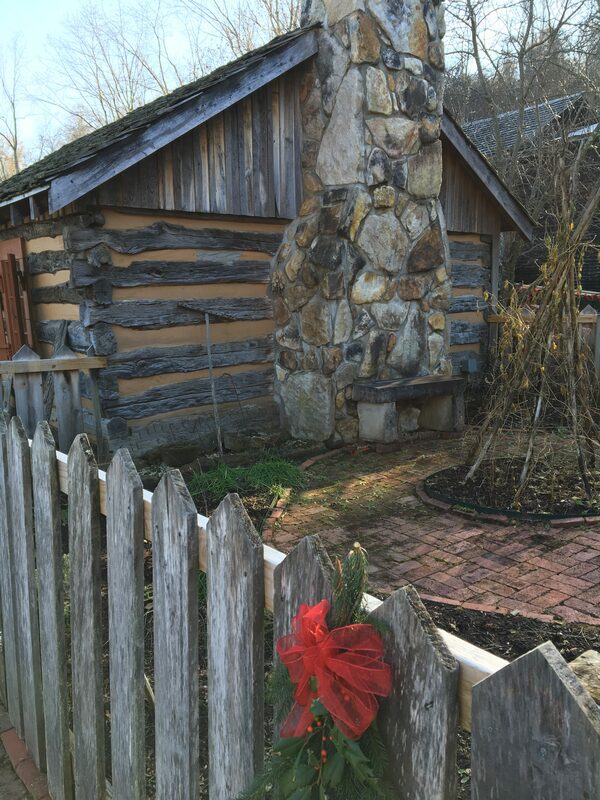 In the center was this quaint cabin with the scent of pine at the entrance. The homes were small, but the fireplaces large and warm. 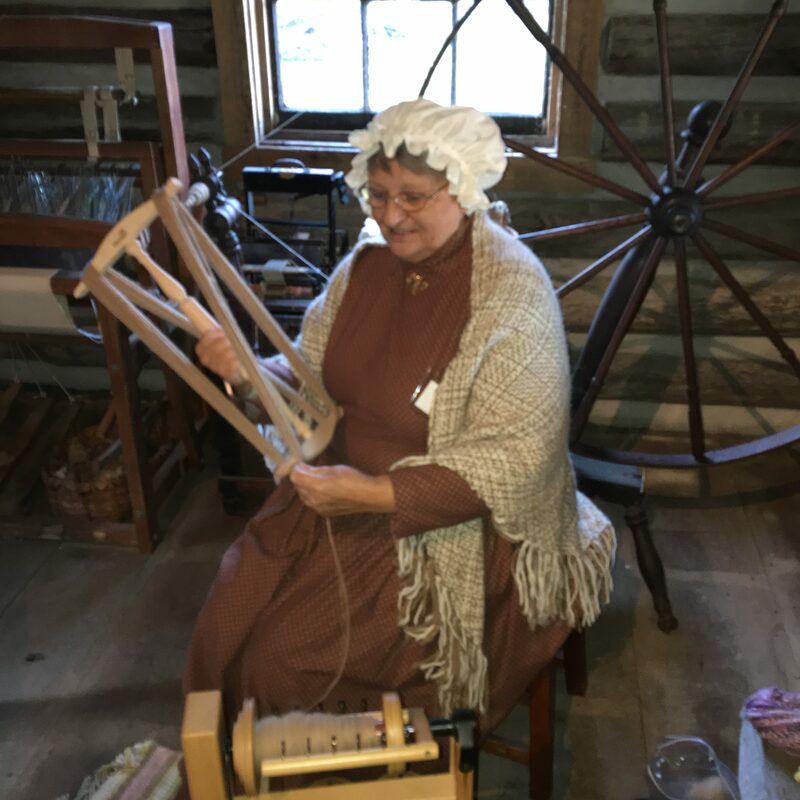 In another cabin, I found a weaver working on her loom. 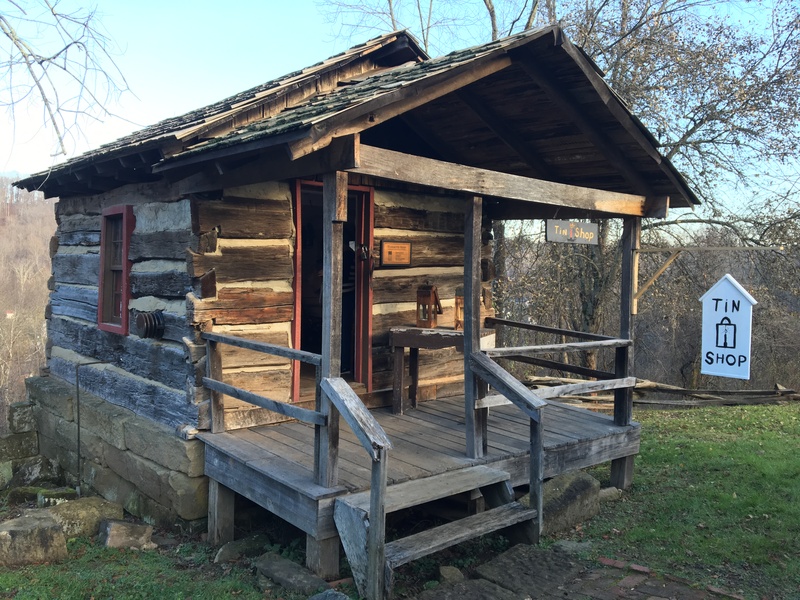 As I looked over my shoulder, cut into the hillside was a small root cellar. I had visions of the one used by my great grandparents on the farm in Pennsylvania. As I strolled around, I heard the faint beat of a drum. When I turned, I saw the Belsnickle. In Appalachian folklore, the Belsnickle traveled from house to house brandishing his switches in the air. He would use these switches to whip naughty children. To good children, the Belsnickle would hand out cakes or candies. This one seemed less menacing, yet still a bit scary. Then, I smelled the aroma of roasted chestnuts. It has been years since I tasted their meaty flavor. I was so happy when he offered me a few. Further on, I found the tavern. Inside there was wassail, gingerbread, and hot chocolate for sale. 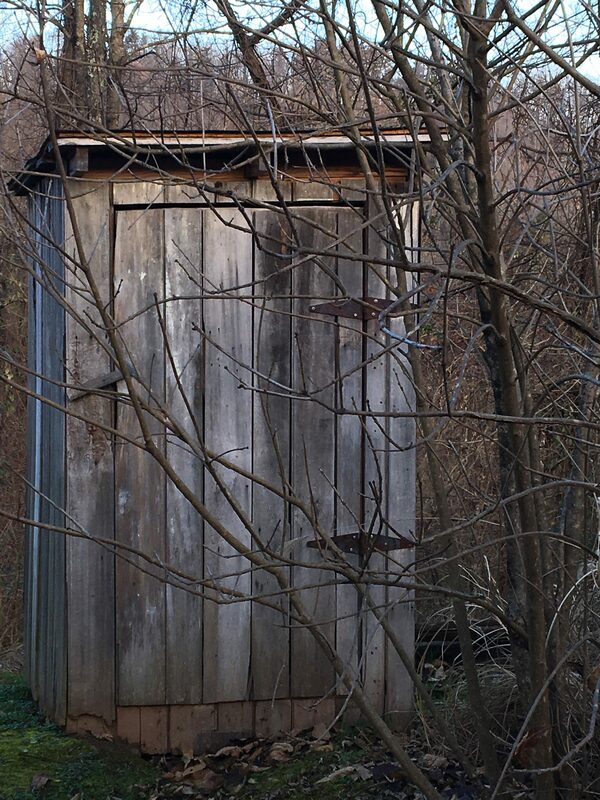 No village would be complete without its 19th century public restroom. 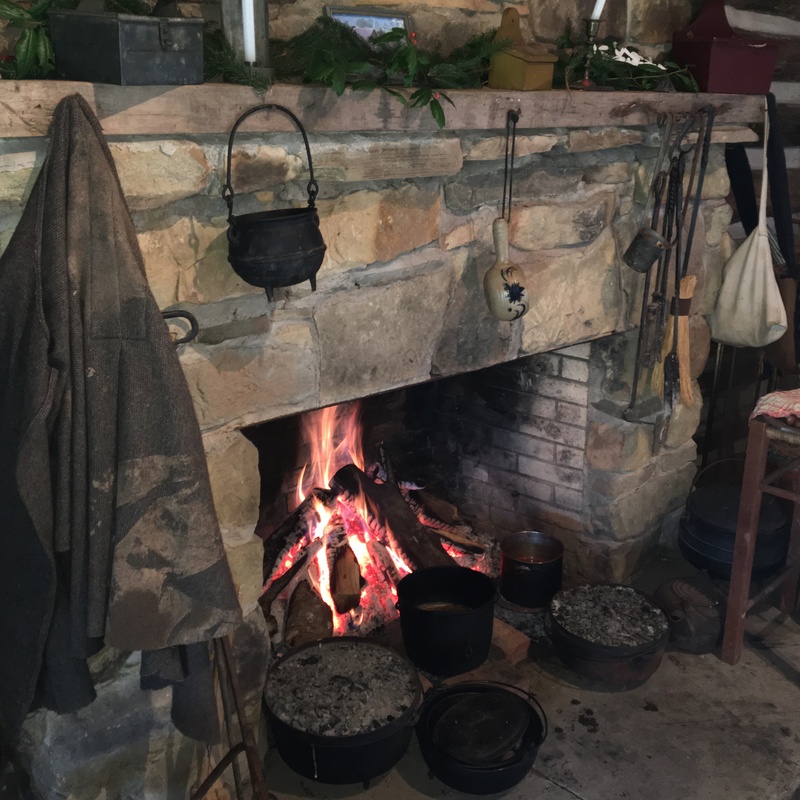 With wood smoke coming from the chimney, I wondered what was cooking and who was warming their hands by the fire? 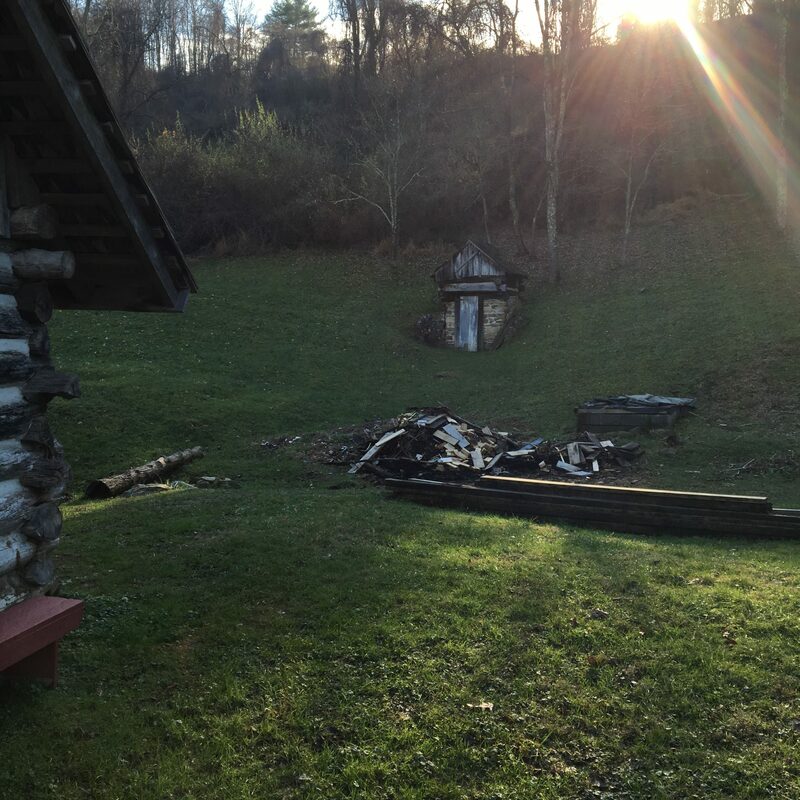 What was once a thriving herb and vegetable garden has now gone to sleep for the Winter. Toward the end of my walk-about, I spent some time in the church, which doubled as a public meeting hall. I was told the benches/pews were original to the building. As I was about to leave, I turned around to say goodby to New Fort Salem. 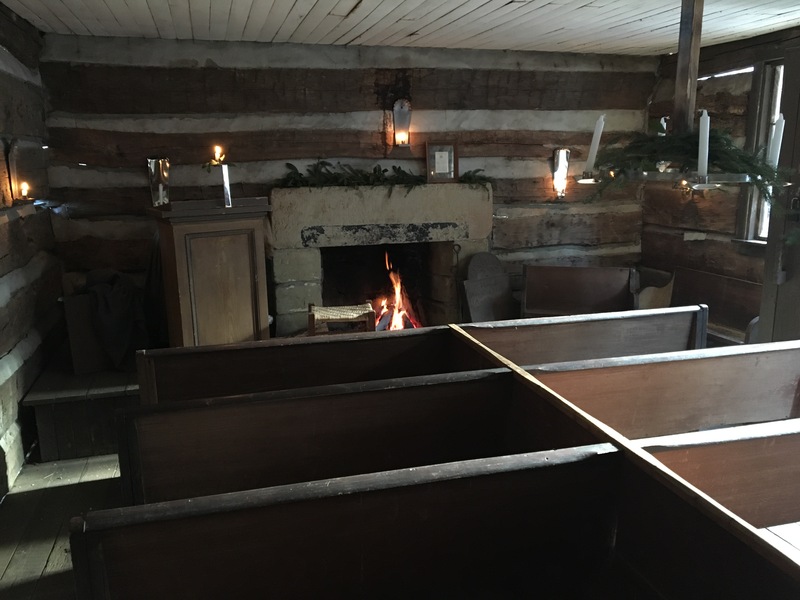 A beautiful place showing us how a 19th century "Christmas in the Mountains" must have been. Then, I noticed how public, embarrassing, uncomfortable, and swift 19th century justice must have been. I hurried to my truck! You brought back fond memories and made my "Christmas in the Mountains" something I will always remember. 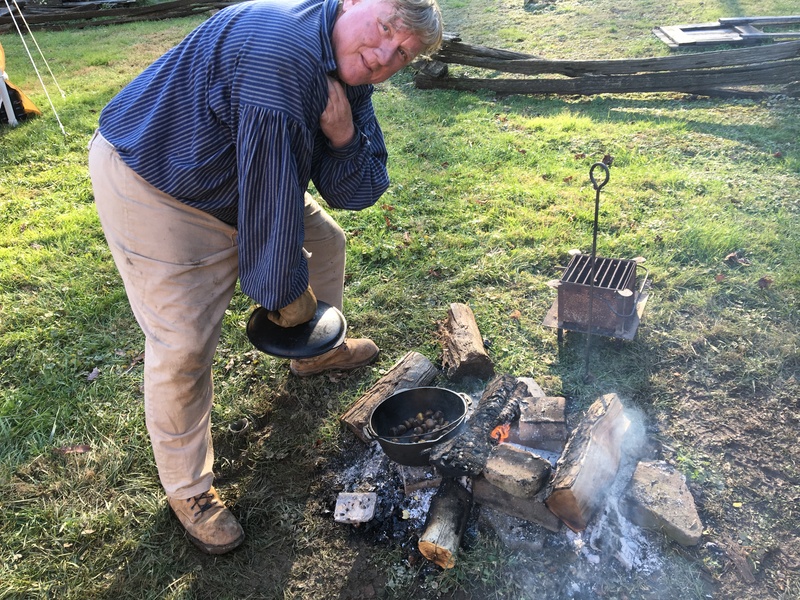 Fort New Salem is open this weekend, December 1 and 2 from 2-6pm. Visit their website fortnewsalemfoundation.org. Hope you enjoyed our Christmas walk-about. "If you hear the faint beat of a drum... Beware of the Belsnickle,"
On a personal note: During my time on the campus of Salem International University (Salem College during my time), I received my Bachelor and Master of Arts degree. 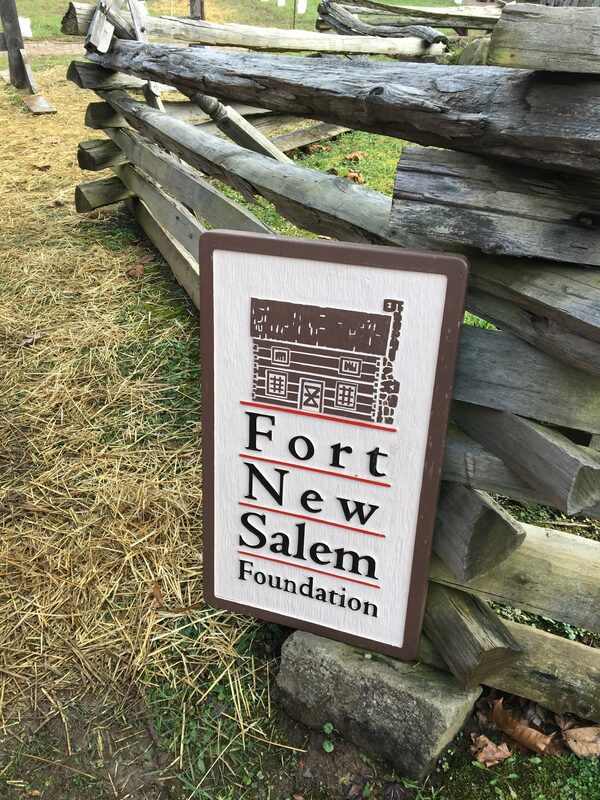 I was there when Fort New Salem began and was fortunate to take some courses held in these very buildings. 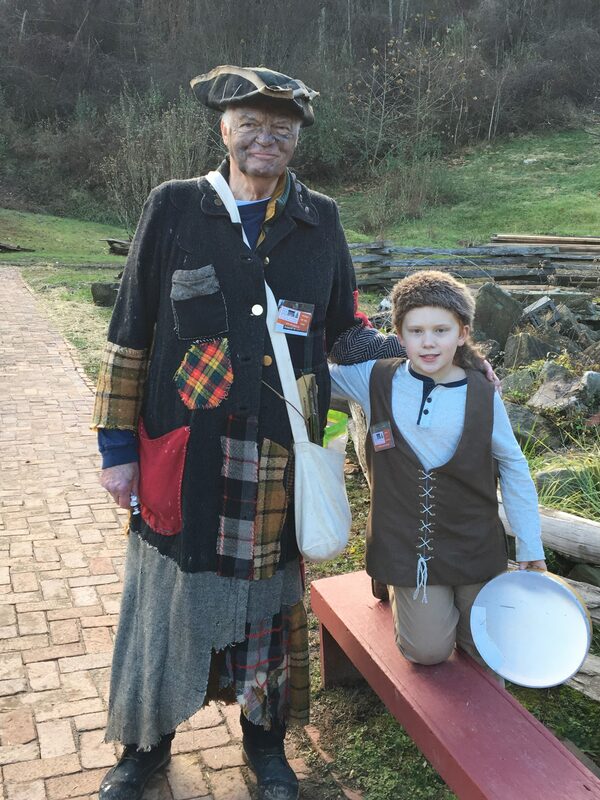 I learned to be a tinsmith, a blacksmith, a basket weaver, and I completed a course on19th century herbal medicines. Wonderful memories...of a different day and time.